HTML5 and CSS3 websites often work with databases. Your hosting service may have features for working with MySQL databases remotely. You should understand how this process works because it’s often slightly different from working with the database on your local machine. Often, a tool allows you to pick a defined database or create a new one. This database creation step happens because you don’t have root access to MySQL. Instead, you usually have an assigned username and database name enforced by the server. 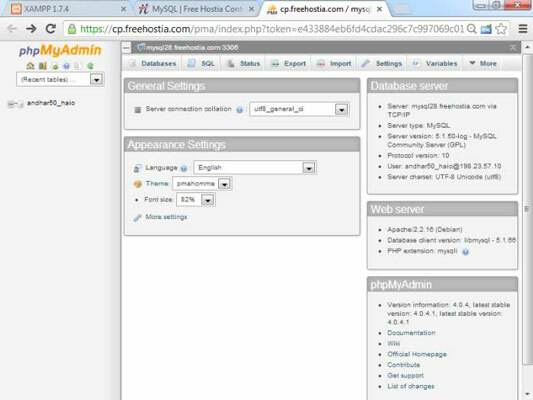 On Freehostia, all database names begin with the username and an underscore. To create a new database, you need to provide a database name and a password. Usually, a MySQL user is created with the same name as the database name. 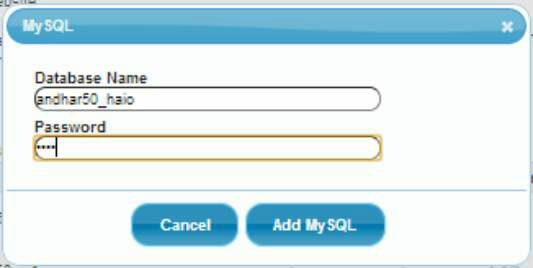 After you create the database, you can select it to work with the data in MySQL. Often, public servers remove the Privileges section because you aren’t logged in as root. Everything else is basically the same. For many situations, you can ssume that the MySQL server is on the same physical machine as the web server. This situation is common in XAMPP installations, but commercial servers often have separate servers for data. You may have to dig through the documentation or find a Server Statistics section to discover how your PHP programs should refer to your server. By far the biggest problem when moving your programs to a remote server is figuring out the new connection. Make sure that you know the right combination of server name, username, and password. Test on a simple PHP application before working on a complex one.